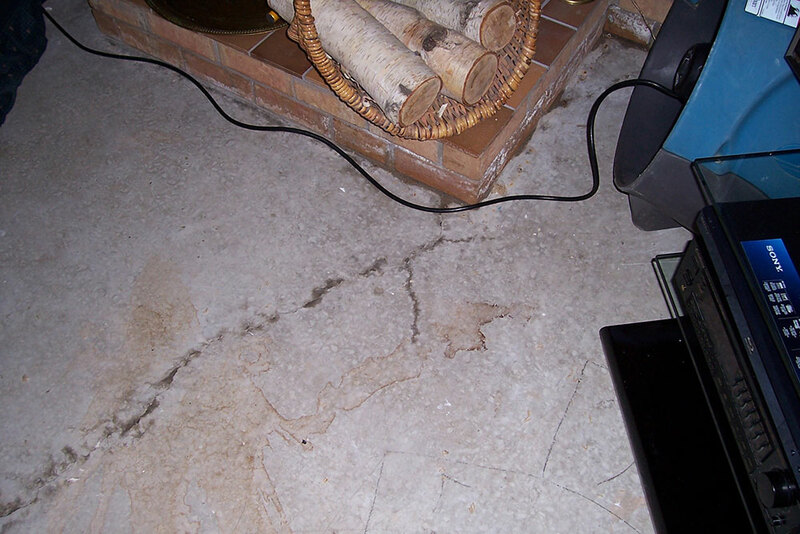 Do you notice water at the cove (seam) where your foundation wall meets the basement floor during heavy rains or spring thaw? 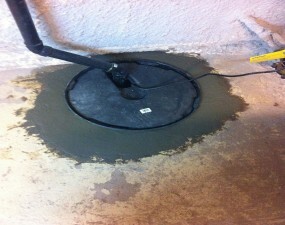 Are the tiles, laminate or hardwood flooring in your finished basement lifting or have signs of water damage? Are the foundation walls in your unfinished basement dry but you find water appearing in the middle of the basement floor and can’t figure out where it’s coming from? If you are experiencing this kind of water problem in your basement, then it is time to call PCS Basement Waterproofing Specialists to get the problem solved. 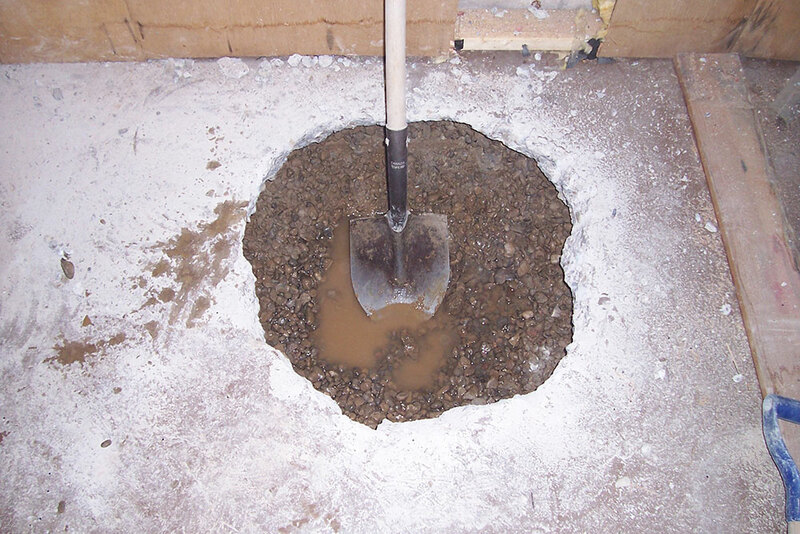 Water can make its way into your basement from not only your foundation walls but also from below your concrete basement floor and footings, when water tables rise during heavy, continuous rainfalls or spring thaw. 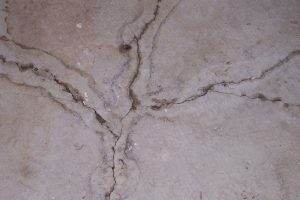 All concrete is porous so as the water table rises with nowhere to go, hydrostatic pressure is created which forces water to the surface through what is known as “capillary action”. 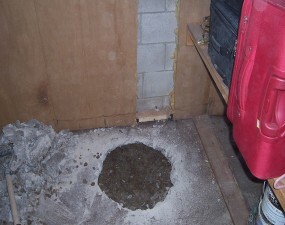 The problem will get worse as times goes. 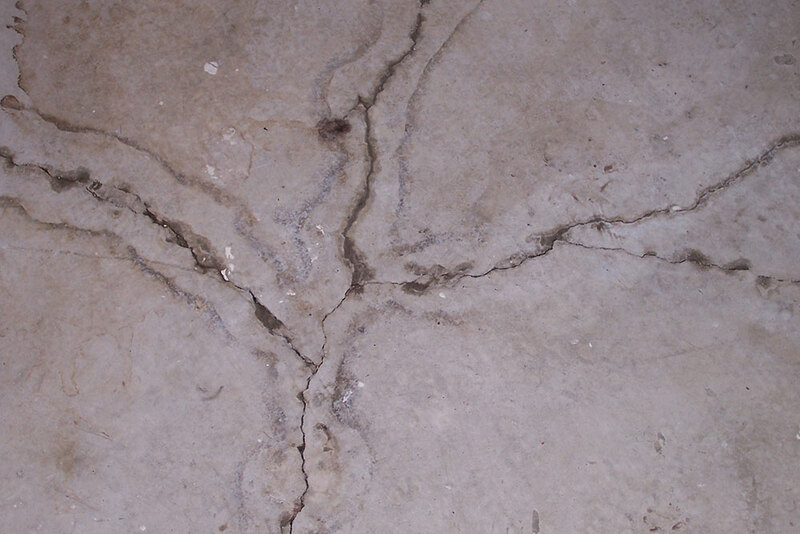 Remember water will always take the “path of least resistance” so each time this occurs that path is being set out. 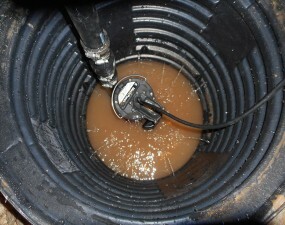 To solve this problem a proper sump basin and sump pump needs to be installed. The installation involves breaking out a small area of the basement floor approximately 2 feet in circumference and digging a pit approximately 2 ½ feet deep. 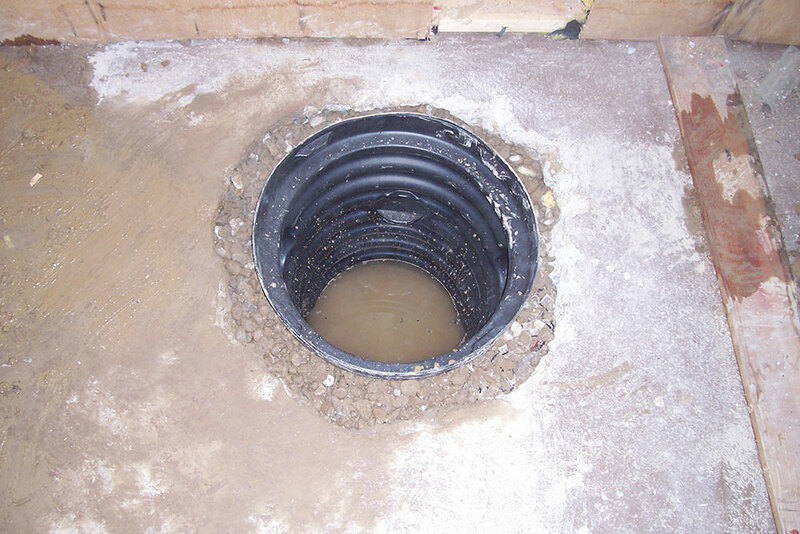 The sump basin is perforated, installed in the pit and encased in drainage stone to allow the rising water to collect inside. A submersible sump pump with check valve (a one-way valve that closes to prevent water from flowing back into the basin) is then installed and plumbed with ABS pipe to outside the home, to discharge the water from the sump pit away from the foundation. By installing a sump pump you are creating the path of least resistance for rising water, relieving the buildup of hydrostatic pressure under the basement floor and eliminating future problems of water making its way to the surface. 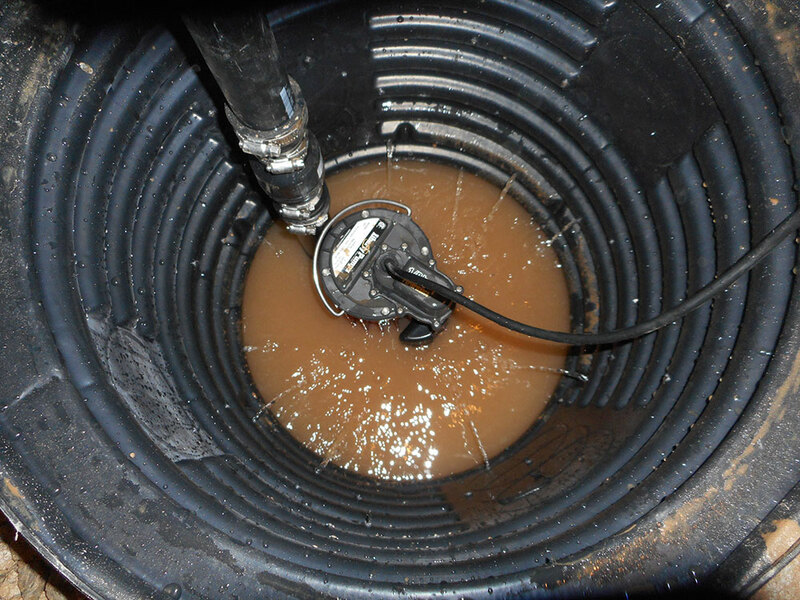 Note: Connecting a sump discharge line to your wastewater system has been illegal in most municipalities in Ontario since approximately 1975 when Ontario Building Codes were first introduced so be wary of anyone making this suggestion. 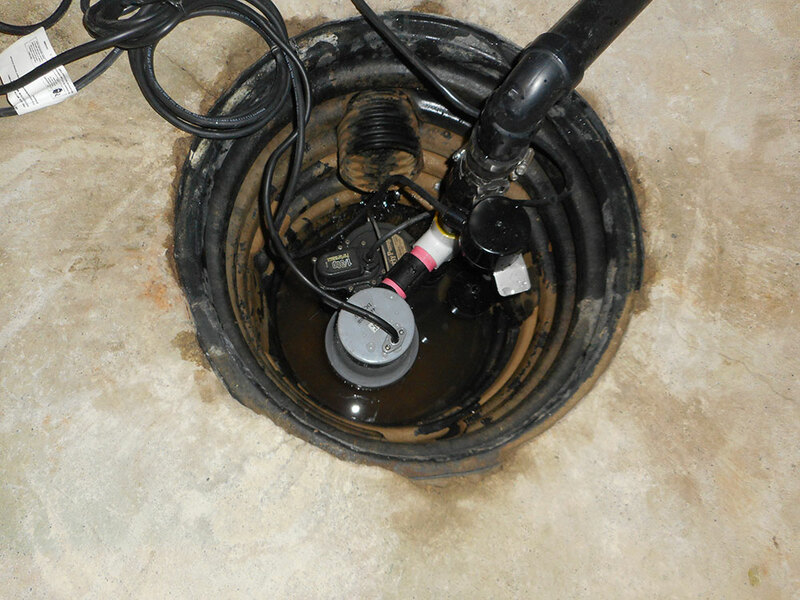 In addition to installing a sump pump we also recommend installing an Emergency Backup Sump System for times when power outages occur.Having a properly installed and working sump pump is very important, however if the power goes out your sump pump will not operate. Having an inoperable sump pump at the wrong time can leave you with a flooded basement and water damage to furniture, drywall, flooring and other items stored in the basement. The Emergency Backup Sump System is installed in the same basin just above the initial sump pump and is powered by a marine battery that can provide up to 30 hours of operation. 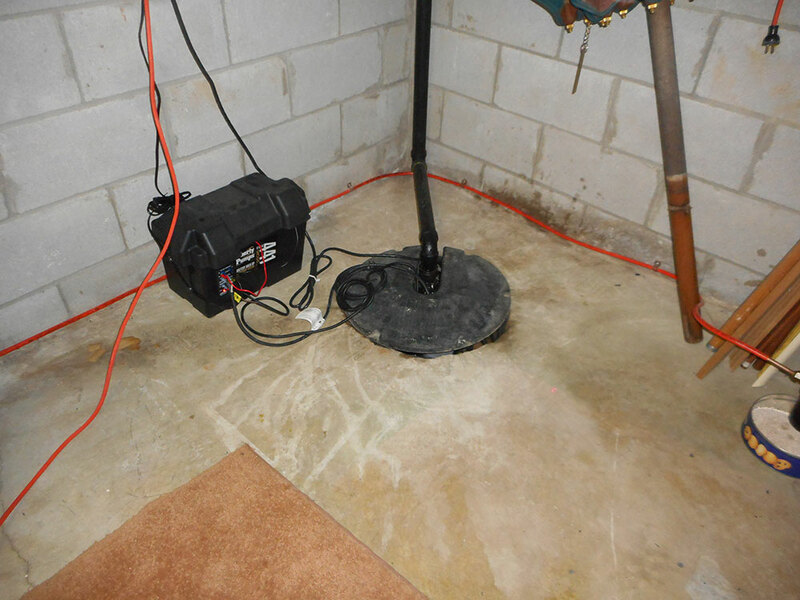 The Emergency Backup System is equipped with reverse battery/short circuit protection, an advanced charging system that automatically maintains maximum charge at all times and has an audible alarm built in to alert the homeowner of emergency pump operation.